Al Salem Johnson Controls (York), a leading provider of integrated heating, ventilation and air-conditioning (HVAC) solutions and equipment, said every year it has been increasing the number of its technicians working at the cooling stations at the Grand Mosque in Makkah by 25 per cent during Ramadan, Umrah and Hajj seasons. The technicians undertake preventive maintenance and handle emergencies to ensure the safe and efficient operation of the chillers and air handling units, said a statement from York. The company is proud of the role it has been playing in the operation and maintenance of these cooling stations for the fourth year in a row. The York Chillers located in the two cooling stations are designed and customised to meet the cooling requirements of the Grand Mosque, especially during peak seasons, it added. 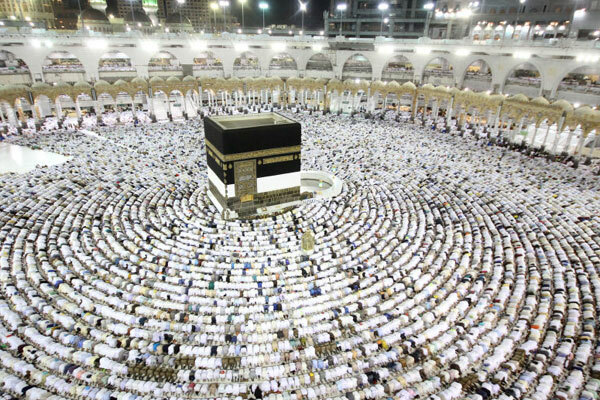 Al Salem Johnson Controls (York) ensures that pilgrims are kept cool on their Hajj journey, starting with their arrival at the Hajj Terminal at King Abdulaziz International Airport - which is also cooled by York Chillers and York Saudi-made air-handling Units - to the mosque. In addition, the chillers cool 70,000 litres of Zamzam Water daily during the Hajj and Umrah seasons (equivalent to 296,000 cups per day), said the company statement. It also plays an active role in cooling other locations visited by the pilgrims during their journey in Makkah and the holy sites; for example, the clock tower, the Hilton Hotel and Dar AlTawheed Intercontinental Hotel in front of Grand Mosque, a number of hotels in Mina, and police stations and restrooms in the holy sites of Mina, Arafat and Muzdalifah, as well as the Jamarat area and the Saudi Arabia Project for Utilisation of Hajj Meat, it added. CEO Dr Mohanad Al Shaikh said Al Salem Johnson Controls (York) was proud to be operating and maintaining the cooling stations allocated for the Grand Mosque at Makkah. The first cooling station, located 900 m from the mosque in Al Shamiya District, began its initial operation three years ago while the second station, located 500 m away from mosque in Ajyad District, is operational since the last five years, explained Al Shaikh. The Grand Mosque is cooled by two cooling stations, with a total cooling capacity of 159,000 tonnes (equivalent to the cooling of 15,000 medium-sized apartments). While the two stations are separate facilities in terms of location, their chiller technologies are integrated as one, to ensure the operation and cooling efficiency and sustainability all year through, he stated. The Al Shamiya station is considered to be the second largest cooling plant in the world, with a total cooling capacity of 120,000 tonnes (equivalent to the cooling of 12,000 medium-sized apartments). It boasts 24 York centrifugal chillers, the largest chillers in the world, and cooling towers, said the statement. The technology of these chillers has been designed, engineered and customised to meet the cooling requirements of the Grand Mosque, it stated. The second station has a cooling capacity of 39,000 tonnes (equivalent to cooling of 3,000 medium-sized apartments). It includes three centrifugal chillers with a capacity of 9,000 horsepower, four chillers with a variable speed drive technology, and 56 chillers with a reciprocating compressor, all of which use radiators for heat rejection. Al Shaikh pointed out that the Grand Mosque was connected to the two cooling stations through underground tunnels. The chillers cool water up to 4-5°C and pump it through pipes inside the tunnels from the two stations to the York air-handling units located in the basement of the mosque. The air handling units and their cooling capacity are designed and engineered to meet the cooling requirements of the Grand Mosque, and were locally manufactured at the York factory in Jeddah, Saudi Arabia, he explained.